Please arrive 10 minutes prior to your spa appointment. Late arrival may result in an adjustment to your service, and we cannot neglect the next scheduled guest. As a courtesy to other guests and our therapists, please notify us at least 4 hours in advance if you must cancel or change any scheduled services. Without this notification, you will be charged one half of the service reserved. 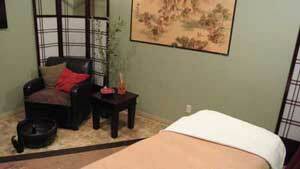 In addition, all spa packages must be guaranteed with a credit card or gift certificate number. Exchanges or store credit, with receipt, within 14 days of purchase, will be made only if the product is unused, unopened and in its original packaging. We accept Visa, Master Card, Discover Card, bank debit cards, and cash. Personal checks are accepted with identification and are subject to a $25 return fee. Spa packages must be guaranteed with credit card. In keeping with the serene and peaceful environment of our spa, please consider leaving small children, cell phones and beepers at home so that others may relax without noise or interruption. Valuables should be left at home. Many treatments require removal of all jewelry, personal items and or clothing, and we regret that we cannot be responsible for their loss or damage. Should a client exhibit inappropriate behavior, services will be terminated immediately and client will be charged in full. Rates do not include gratuity and are only accepted in the form of cash or personal check. 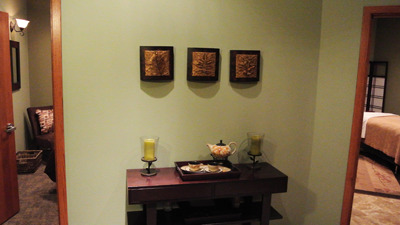 Gift certificates are available for purchase in our spa during office hours. You may also purchase gift certificates instantly online. 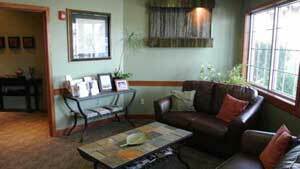 We do not refund gift certificates and they may only be redeemed toward services or products in our spa.